Variation Accepted: Operating between Plymouth, Royal Parade and Steer Park, Down Road given service number 20 effective from 04-Mar-2012. To amend Route and Timetable. 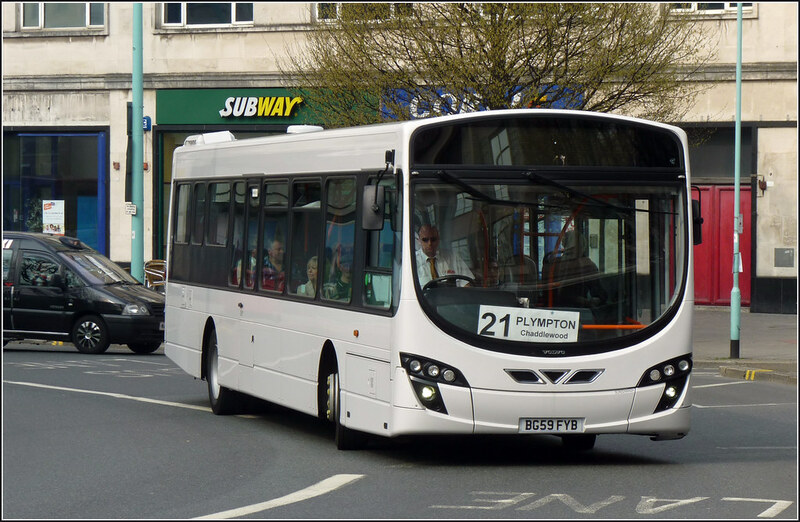 Variation Accepted: Operating between Plymouth, Royal Parade and Plymton Sandy Road given service number 22 effective from 04-Mar-2012. To amend Timetable. Variation Accepted: Operating between Plymouth, Royal Parade and Chaddlewood District Centre given service number 21 effective from 04-Mar-2012. To amend Route and Timetable. This does seem to be more of a tinkering than anything else but it will be interesting to see what the route changes actually are. If the VOSA notices are to be taken at face value ( and they are often vague to say the least) it looks like the 20 is extended to Steer Park whilst the 21 only goes as far as Chaddlewood Centre rather than Steer Park. Full details will be given once they are available. More to follow as I catch up! The 20 is my route, it's like the days of the 20A that ran in the evenings and on Sundays. 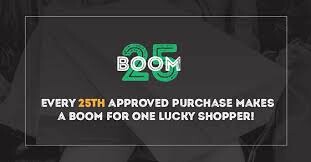 This may see an increased frequency, but we can all hope! Could this be the start of cutting back evening services ??? from wot i have heard, the 20 is being sent to steer park, rather than sat at st mary's bridge for 19mins a trip, the 21 is terminating at chaddlewood district centre. because of the few people that use it in steer park, it makes sense to send a 20min frequency there rather than nearly empty 10 mins buses. i have also heard that the 20 is being put back thru laira and the 22 across the embankment, tho that last piece of info is to be confirmed. The 20 waits at St Marys bridge for at least a full half-hour, as when a 20 comes down Mudge Way from the City Centre, there is always another 20 there! The drivers do their absolute best to not let you on, they sit in the middle of the bus with the lights off and normally the destination blinds either off or set to Not in Service, and point blank REFUSE to let you on there! Every time I've tried to get on there the driver quite rudely says 'I'll be up the top in a minute', so you have to walk up Mudge Way. Does anyone know if the 20 is to continue going to the Ridgeway? I hope it's not going to go along Strode Road and up Glen Road? Maybe it will go up Moorland Road and along Ridgeway to Hillcrest Drive to Steer Park? We'll find out for sure in a week or so's time! 43A has been busier this week, what with the rise in First fares. I expect there will be another Citybus fares increase in the summer though!!! First are still cheaper option for me. The 22 will not use the Embankment/Prince Rock route. The 20 does wait at St Marys bridge for at least a full half-hour, probably longer, as when one is going down Mudge Way, another one is already there! The one that has just gone down Mudge Way normally turns at the bottom of Glen Road and waits by the fire station, and then moves along to St Marys Bridge! And don't even try getting on there, they do their absolute best to 'hide' themselves from passengers, they sit in one of the seats in the middle of the bus and read their paper, if it's dark they turn all the lights off, sit in the drivers cab with just those lights on! They also nearly always set the blinds to 'Not in Service' or turn them off completely! If you try and get on there they rather rudely reply 'I'll be up the top in a minute' and have to walk up Mudge Way! Mike, thank you very much for replying. Will the 20 continue it's normal route up to Strode Road, e.g. Woodford/Clifton Avenue etc? Is the 20 going to be increased in frequency at all? I really don't mind if it isn't, as there just isn't the need for it through Woodford. What's your driver number? E.g. the one that comes out on the tickets, like 'Drv 4460' - (only used that one as that was on my last ticket!) so I can see if it's you and say hello! yes it will go normal route thru woodford strode road and clifton ave. my driver number is 4431. Mike - once again thank you so much for replying. I can't describe how grateful I am and how useful your information has been; saves me having to wait until PCB release the full information, which surely can't be long now! Much appreciated, and once again, thank you! Any more changes in the pipeline Mike? I'm sure Citybus mentioned changes to the Northern services, probably the 40/41/42 and the 44/A. It could also be the 61+62 as when a customer posted a complaint of the facebook page about the 61/62, changes to the 'northern services' were mentioned. Personaaly I would axe 41 and 44a and have 20 minute service on 40/44 only as I think they run too many services to these areas to make it really worthwhile. I would also do the same as Sundays for weekday services after 7pm from Royal Parade, namely 42 once an hour to southway/Tamerton and 16B hourly from town to Whitleigh via Holly Park,,, 40/41 and 44 only to be Daytime services. I also wonder if in general evening services after 9pm can be sustained ??? only changes are retiming to northern corridor routes to allow more time to complete journey reducing amount of drivers racing about. no slimlining of services as anonymous mentioned. if we did we may as well pack in altogether! i have that on good authority. Timetables are now up on the Citybus website. The 20 will go it's normal route (Prince Rock-Woodford-Strode Rd) then up Moorland Road, and turn right, then Ridgeway-Sandy Road-Steer Park. The 21 will continue it's normal route but misses out Steer Park. It is now also 'at frequent intervals'. The timetable change for the 22 is being increased to two buses an hour on Sundays. The 20 is now also withdrawn completely on Sundays - not happy! This is how they're paying for the increased frequency of the 21 Monday-Saturday and the increased 22 frequency on Sundays! didnt know that tom re sundays. there must b a reason for it, more than likely not enough people using it to make it viable. they wouldnt cut it just for cutting it's sake. like 46/47 a while bk. pcb were making losses of £250,000 on that route. a lot of money. in this current climate u cant really run a route if it not turning a profit. in earlier times p.c.c used to subsidise loss making routes but now their budgets have been cut so have subsidies, u only have to look at wots going on in cornwall to understand the widespread effect. all over the country is affected. I appriciate it is gonna upset passengers that use it but its probably that NOT ENOUGH passengers are using it to make it pay. i.e drivers wages,fuel,tax,mot wear and tear etc. all that has to come out first. hope that kinda gives u an insight into running routes and why sometimes regrettably bus companies have to cut routes. I wouldn't worry about it too much Mike - whenever I use it (normally around mid-day to get into town and especially the 4.55 departure, the last one of the day) always carry fair loads, however the runs in-between barely have anyone on it! I completely understand why Citybus have withdrawn it on Sundays, and wrt the 46/47 when a route making a loss of £250k, it's fairly obvious what's going to happen to it! Initally I was rather annoyed about it, however after an hour or two I gave it some thought, and chances are it's just because not enough people are using it - even on a once an hour frequency. It's not too far for me to walk to St Marys Bridge/Plymouth Road and with both the 21 and 22 being every 30 minutes, it's not too bad! I do apologise to people reading this blog - I seem to have taken over this whole post! Another question for you Mike, don't worry if you don't know the answer to it, with the new Volvo buses being put on the 43, and the 21 being a high frequency service, this is presumably where the other Citaros will end up. With the N-reg buses being taken out of service, will the 20/22 see a change of buses? I would have 133/4/5 on the 20, and 4 from 72-79 on the 22, or have 72/3/4 for the 20, and 75/6/7/8 for the 22, and one left over for 29/43B etc. Thank you very much for all the information you've provided me with Mike - it really is much appreciated. hi tom. sorry i dont know at the moment. I will endeavour to find out. as for putting certain buses on certain routes, if only it was that easy lol. buses may be allocated to that route in the morning but could break down and b replaced with something else. sometimes if no bus available which does happen, then there will be a gap in the service. I am actually on 20's all day tomorrow (23/1/12) (26/1/12) and (27/1/12). u cant miss me i will have an old drivers badge on my shirt! Mike - thank you again very much again for replying. If you do hear anything wrt a change of buses on the Plympton services, I would be extremely interested to hear it! On a more 'on-topic- note, PCB on their website have detailed the changes, along with Timetables.